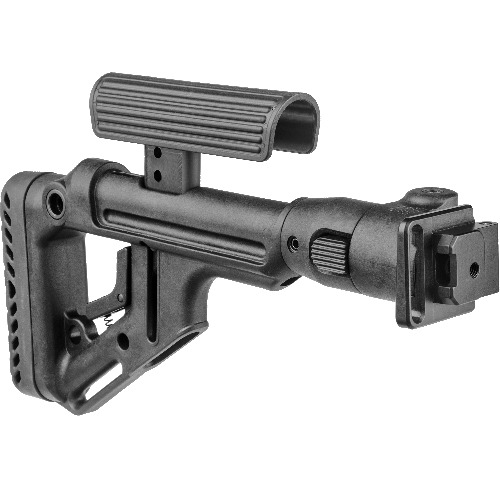 Purpose: Rugged military-grade side-folding stock system. Adjustable cheekweld for optics. Can be switched to fold left or right. Features: Adjustable cheekpiece. Slim stock profile. Super-strong streamlined hinge. Rubber buttpad. Fits Krinkov AK rifles.